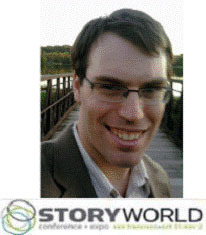 Keep checking this page for more engaging StoryWorld webcasts to come! Missed a WEBcast? Access a Recorded Version Below! 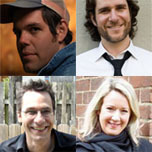 September 8, 2011: Transmedia: Outsold or Sold Out? This free WEBcast was in collaboration with Get Storied. These successful and innovative leaders of the transmedia movement will discuss the creative tensions brewing in the field. We’re still in the early days of cross-platform storytelling, and the boundaries of narrative and entertainment are being redefined before our eyes. Anything filled with promise and potential naturally attracts hype and commoditization, so how do we reconcile the idealistic visions of content creators with the commercial requirements of agencies and producers? How can the spirit of transmedia evolve without being lost in translation? And what’s at stake for all the different sides of the creative equation? This FREE WEBcast is ideal for content creators, producers, and writers who sense something big is happening with transmedia and cross-platform storytelling, yet aren’t sure where to locate themselves in the larger conversation. We’ll be discussing issues of convergent culture, commercialization, and the creative process. Due to technical difficulties, we are sorry to say that there is no recording of Michael Andersen’s June 27 WEBcast, “What’s Possible with Transmedia: Case Studies in Successful Projects.” You can still access the slides from Michael’s presentation here. If you missed the WEBcast on June 29, you can still access this engaging discussion by clicking here for the free recording of "Monetizing Cross-Platform Storytelling." Michael can be contacted at through email at mandersen@argn.com or on twitter @mjandersen.